Costa Rica has long been recognized by the Happy Index Planet as the happiest country in the world. Recently, National Geographic also confirmed these results by blending Dan Buettner’s earlier research, also on behalf of National Geographic, with his recent studies on Blue Zones throughout the world. Costa Rica Happiness is one of three areas of that were recognized as being “Blue Zones of Happiness”. They enjoy lives that minimize stress and maximize joy. There are several ways that Mr. Buettner thinks they do it, but we will focus on the advantage that Costa Rica has. According to scientists they call the typical Costa Rica happiness, “experienced happiness” or “positive affect”. The way it is measured it is quite simple: Ask people how often they smiled, laughed or felt joy in the past 24 hours. Based on that research Costa Rica is the place where people report feeling more daily positive emotions than almost anywhere else on the planet. Freedom to live the life that’s right for you. The researchers believe that those six factors are not by chance – they believe they are very closely related to the country’s government and its cultural values. In other words, this means is that happy places, and their government, incubate and perpetuate happiness. Las Villas de San Buenas is a wonderful place, located in the friendly Bahia Ballena region of Costa Rica. 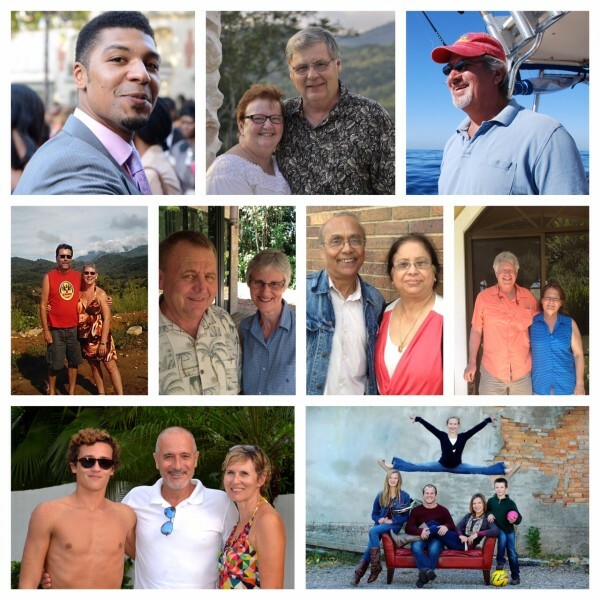 Our clients are from around the world…and happy! Come join us and all of the Costa Rica Happiness! 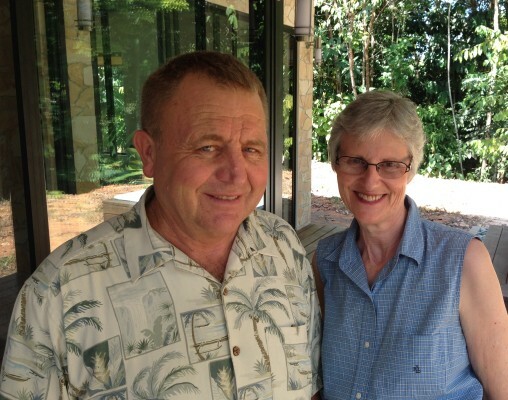 The owners of Casa Lapas, our Chairman Duane Halverson and his wife, Mary, recently improved their home – they added a beautiful Costa Rica Rancho behind the home. Casa Lapas was the first home constructed in Las Villas de San Buenas and the Halverson’s have been continuously adding features and landscaping to improve not only the look, but also the functionality of the home for their use, their friends’ use and clients. The most recent change was punching a hole in the wall of the garage and building a rancho behind the house. This home is located in the Estates area of the development. If you would like to own a lot near this home, please take a look at the Estate Lots masterplan. If you are interested in renting Casa Lapas and its amazing new Costa Rica Rancho, please visit the availability calendar or Contact Us for more information. 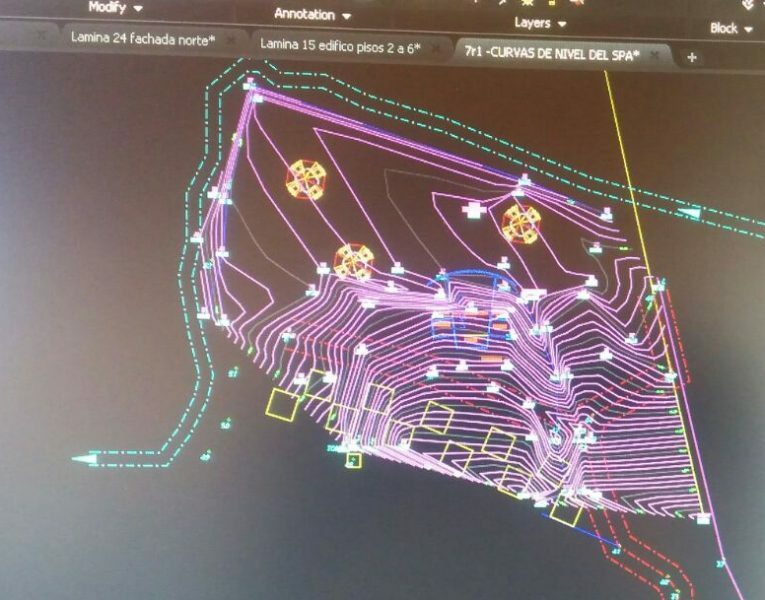 We have always planned on offering more than just an affordable Costa Rica real estate option and with that in mind we are in the early stages of our Costa Rica Retreat Center Plans. We have designated the area we will use, pulling several lots out of inventory, surveyed the area, GPS marked all protected and old-world trees and will start work on the actual plans and models soon. The planned location of this Costa Rica retreat center is perfectly located adjacent to a quebrada (stream/creek) that flows throughout the year – even during the dry season. Due to the tree canopy, it is rarely too sunny or hot (it can get a bit humid – you are in a tropical rain forest after all!) and given the proximity to the creek, simply take a refreshing dip to cool off. Another advantage of the planned location is that it is only a five minute walk to the amazing waterfalls located nearby. Whether those who use the retreat center are there for business or pleasure, waking up to the sounds of howler monkeys, toucans, scarlet macaws and even owls, will be an experience of a lifetime. Given we are early in the planning session, we cannot guarantee details, but this is the current Costa Rica Retreat Center Plans are. We will be working with Osa Property Management on the facilities management. Stay tuned! My first trip to Costa Rica was in March 2005. During that initial trip, the local real estate agent told me about the “New international airport that will be built soon.” Here we are twelve years later and still not another international airport in the Southern Zone. In my agent’s defense, there had been government publicity, an article in The Tico Times, with a map, about the airport and he was simply repeating what he had read. Again, in 2007, then-Costa Rica President Oscar Arias held a public relations event whereby he signed a decree to move forward with an international airport in Osa. recently as six months ago, after the formal announcement had been made, no wind studies or environmental studies had been conducted. I find it hard to believe that the Orotina airport is as much of a ‘slam-dunk’ as is being reported. The latest news is that we will all know more by the end of 2017. Is a new international airport in the southern zone going to be built in Osa? I would guess no. As much as I would love to have an international airport 30 minutes away from our development (believe me, prices would go up quickly! ), based on what happened the past 10 years from Oscar Arias announcing it, to now = very little of anything has happened. Osa currently doesn’t have the infrastructure in place to handle a project that large. I could argue it is a bit of a chicken-and-egg problem. The large hotel chains haven’t built here yet because there isn’t a reason to without an international airport. The feasibility studies would show that the region isn’t equipped to handle an international airport since there aren’t any large hotels in the area. It’s a circular argument. In 2008, then President Oscar Arias, signed documents in Palmar Norte announcing the new airport. It was never built. (Central America Free Trade Agreement) or TLC as it was known in Costa Rica. 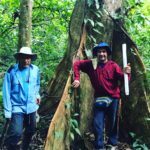 The Osa region voted against the measure, and it has been speculated that in retaliation for not supporting him, President Arias pulled the project out of Osa. By contrast, Limon on the Caribbean side, voted “Si” (yes) for the TLC, and soon after the vote, the Limon Port expansion was announced (Limon Moin Container project). Regardless, the real reason why the airport was never started in Osa is still up for debate today. I have spoken with the Osa Mayor several times, and he is continuing to try and push the project forward. However, he understands the difficulty of getting the politicians in San Jose, four hours away, to listen. Another option that has quickly, and quietly, been worked on is to build a new airport in the San Isidro del General, Perez Zeledon area. Although not technically in Osa, it would be a great advantage for owners in Las Villas de San Buenas. The reason why this would be great for Las Villas de San Buenas is that currently San Isidro is only 75 minutes away. I have it confirmed by several sources, that the Osa municipality and the municipality of San Isidro are in late planning stages for improving and paving the road from the southern area of San Isidro that leads into Uvita. When this road project is completed, the trip to San Isidro will be cut down to approximately 45 minutes. Large population base (~150,000 people) that may use the airport for outbound flights. With the large population base, there are dozens of hotels already available. A very entrepreneurial region of Costa Rica. There are 1,000s of business owners in the region who support commerce and trade. By building the airport in San Isidro, the Osa region would still benefit due to the Pan American Highway that is already in place connected Palmar Norte to San Isidro (by way of Buenos Aires). Plenty of flat land is available. The project is not just an airport. The local government is planning on a multi-faceted development plan, including tax incentives for business to move there and other project tied to the airport. If the road is paved between Uvita (20 min away from Las Villas de San Buenas) and San Isidro, AND, IF, the airport is built in San Isidro, the entire southern coast will benefit tremendously. Regardless of which location is chosen, it will be a benefit to us here in the Osa region. I can’t guarantee when or where exactly, although I would estimate that the timelines are at least five years away. The one thing I can guarantee, is depending on where the location is chosen, land prices will go up quickly or VERY quickly once the new international airport in the southern zone breaks ground. This marks the third time that Las Villas de San Buenas has donated the much needed headlamps to Reserva Playa Tortuga. 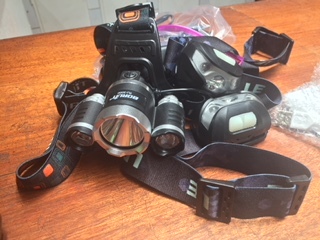 The headlamps are used for nighttime exploration in search of turtles, turtle eggs and caymans (and other wildlife). If you would like to make a donation to this wonderful organization, please send us the headlamps directly or contact us about having us buy them on your behalf. Osa = most beautiful region of Costa Rica! Las Villas de San Buenas is located in one of the most beautiful locations on Earth – Costa Rica’s Osa Peninsula . Osa Costa Rica is considered to be one of the most biologically intense place in the world. 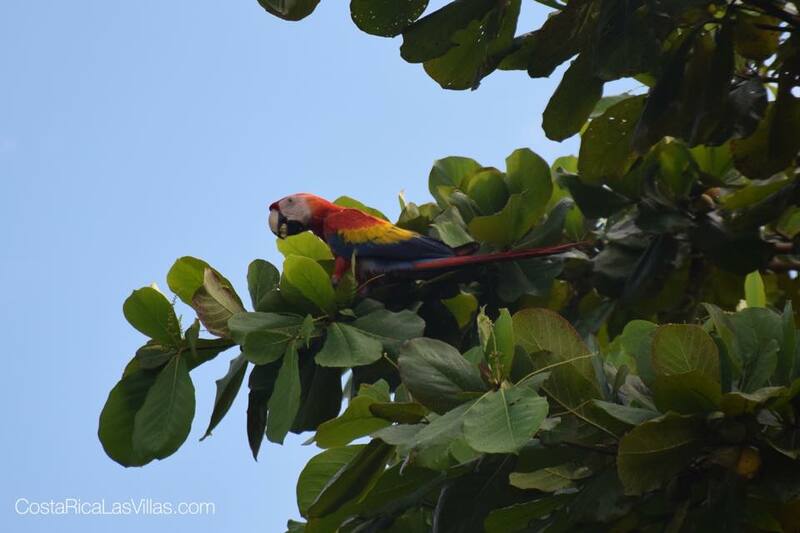 Along with the largest mangrove forest in the world, miles of beaches and countless species of flowers, wildlife and birds, Osa Costa Rica is truly paradise. Click image to learn more about the immediate area and location. We are located just 1 mile (2 km) from the Costanera Highway in the small, peaceful town of San Buenaventura. For more information about our location visit this page. Our customers come from around the world and have a variety of backgrounds. There’s a reason we call Casa Lapas, ‘Casa Lapas’. A lapa is the Costa Rican name for the scarlet macaw. We hear and see them almost daily. Below is a photograph of one in an almond tree near Casa Lapa. The photograph below was taken by Nick Halverson in May 2015 from the backyard of Casa Lapa using a Nikon D5000 with a Nikkor 18-140 mm lens. It is of a scarlet macaw (or a lapa as they are known in Costa Rica). There were four lapas eating the ripening almonds from the almond tree in the early morning. If you look closely at the photo you can see that this one has the almond between its beak. We planted those trees approximately three years ago and we now regularly have lapas flying in and eating. We can custom design a home to perfectly fit your lot. Below is our latest design for our customer, who has a specific set of requests. They love it!!! For more information about our library of home designs, or to learn more about our custom home design process, please read more here.